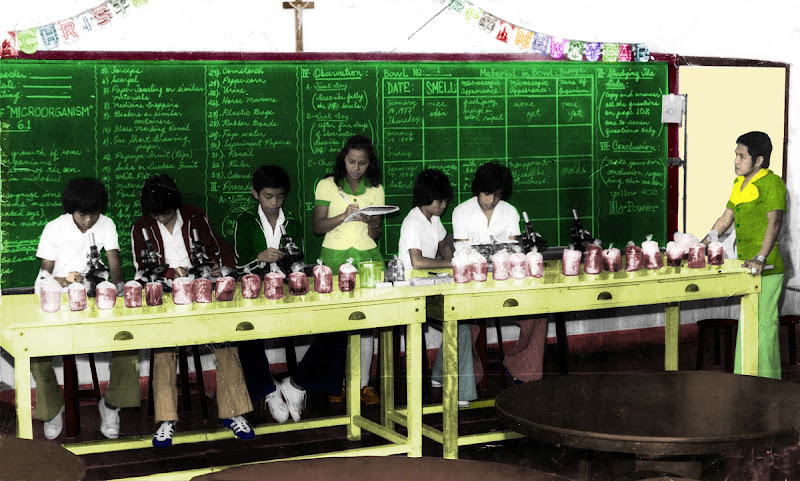 I am releasing this second group of colourised classic DLSL pictures to coincide with the first day of the DLSL Fair. The fair, as all alumni/ae know, is the main activity of the school's foundation anniversary celebrations. Incidentally, this year's anniversary is the 54th; and yes, it has been that long! 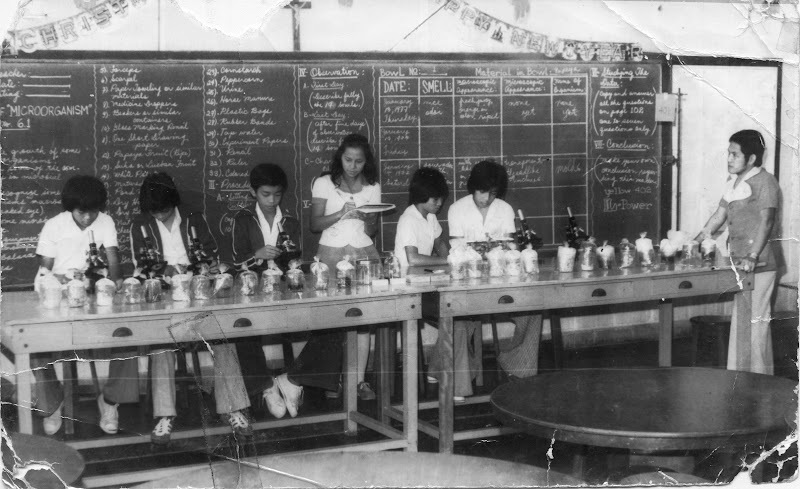 At any rate, the picture above shows Sir Cris Zarate at the Biology Laboratory apparently administering a practical examination of some sort. This picture needed some intricate colourising because of the many elements involved, but it was well worth the bother. I would place this picture likely late seventies judging from the flared pants and long hair... of the boys, I mean.